Phew it's been a while! We've just moved house and it's been absolute chaos as builders are still doing some work in our living room. We're happily hiding out upstairs and adjusting as best we can (even easier now my internet has finally been connected!). 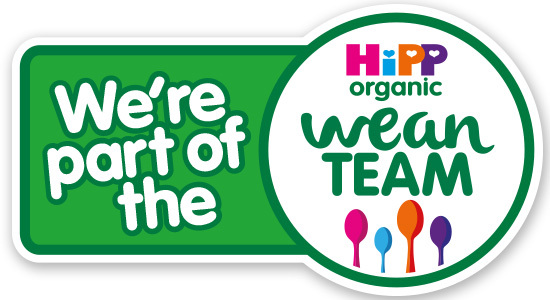 As you know, we are members of HiPP Organics own Wean Team and we've been weaning Isla since she was around 4 months old. Now, at 9 months old, Isla has progressed immensely and she's taken to solid foods as easily as breathing. We originally had her on simple purees and jars of soft food, with the occasional soft squishy finger food thrown in like spaghetti or fruit. Isla had a lot of trouble chewing and would gag a lot (no choking thankfully, touch wood) so it was harder to move onto bigger finger foods. We started using the 7 month stage foods that have tiny lumps around 6 weeks ago and I feel Isla was a lot happier on them and fuller. This new found fullness meant we really cut down on the amount of milk she was drinking. At the start of weaning and pretty much since day one Isla was really erratic with her bottles (she has always been formula fed) and would constantly be drinking, but we've finally got it cut down to three seven oz. bottles a day, one with each meal. Of course, every baby is different and some babies may want or need more or less, but it feels so much more manageable knowing exactly how much I am going to need and when, especially when packing the changing bag for a trip out. She has also learnt how to hold a sippy beaker herself and we have moved off of the standard baby bottle completely. When did my little baby get so independent? We switched Isla's milk several times once she was weaning as we just couldn't find something that would fill her up, and now she is having less of it I wanted to make sure she was still getting the nutrients from milk to back up what she now gets from food. We've been using HiPP's follow on milk lately and she has taken to it so well. It comes in a storage box (with scoop holder and leveler) and each box holds two silver resealable pouches to increase its longevity. You can also purchase a reusable plastic container to hold it all together which I've found really easy to use (and doesn't the nice white tub look so good in my new kitchen?). 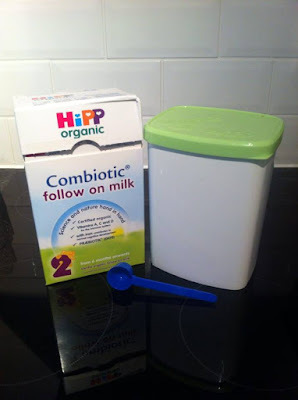 "HiPP Organic Follow-on-Milk includes the essential ingredients your baby needs including iron for cognitive development, vitamins A, C and D for the immune system and PRÆBIOTIK®". Of course, not everyone will want to switch from stage one formula to stage two, and I do my best to ensure she gets what she needs from her food but it is reassuring to know she has the extra boost from her milk every day. "Follow on milks are designed to complement the weaning diet while your baby is getting used to a variety of different tastes and textures. They are higher in iron and vitamin D than standard infant formulas which can really be a help if baby is not eating many iron-containing foods and is therefore at greater risk of iron deficiency, and to help protect baby against becoming vitamin D deficient." 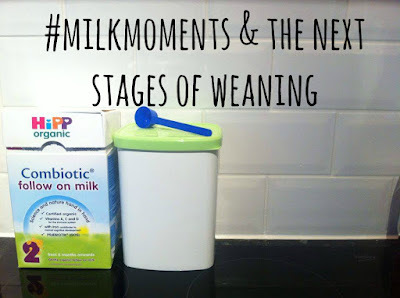 Weaning really is a crazy, fun and potentially messy journey. Over the last few weeks Isla has come in leaps and bounds and is eating more and more what I like to call human food (because baby food isn't human in my head?!). She'll happily chomp on cut up sandwiches, pasta, biscuits, fruit- you name it. Other than pureed carrots she hasn't turned her nose up at a single thing we've tried. Lets just hope she stays that way! How did you get on when you weaned? Or if you haven't yet, what're you most looking forward to? thank you for sharing your experience. I can very much relate to your situation. 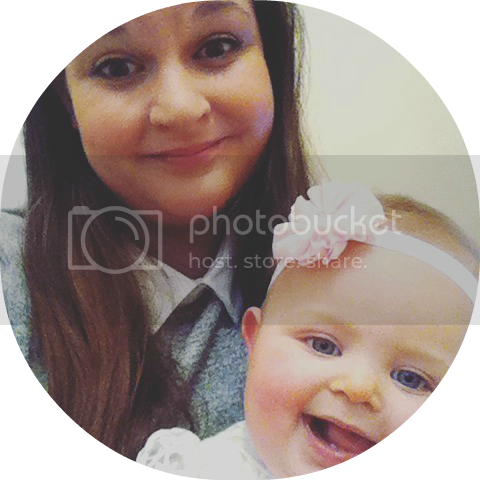 I breastfed my baby until she turned 5 months and then I had to wean her. 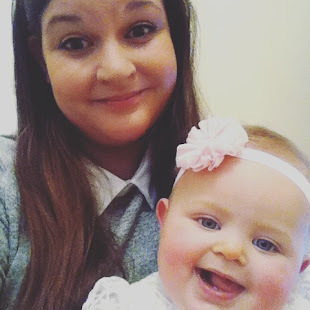 For me it was a very stressful period because I felt that I couldn't provide for my baby (which, I later realized, is usually the reaction of all mums who stop breastfeeding). Many people recommended trying Hipp's organic formula. At first, I was very reluctant because I live in the U.S. and here it is impossible to find Hipp products. I was so glad that I found a website called myorganicformula.com which imports Hipp's organic formula in the U.S. My baby loves it so much and I also feel relieved to have found healthy nutrition for her.